Amtico Floor Cleaning service in Cheshire. We provide the cleaning and sealing of both Amtico and Karnden floors in the Cheshire area. Amtico floors are a unique and individual finish to any home. Being extremely durable, they will last for many years and are a fine investment. These type of floors are also installed in many commercial situations such as company foyers, shops and hotels due to their long lasting durability. Despite regular mopping and cleaning, Amtico flooring may eventually need professional cleaning with machinary due to grime and deposit build up which is impossible to remove with regular cleaning and mopping. Karndean Floor Cleaning service in Cheshire. 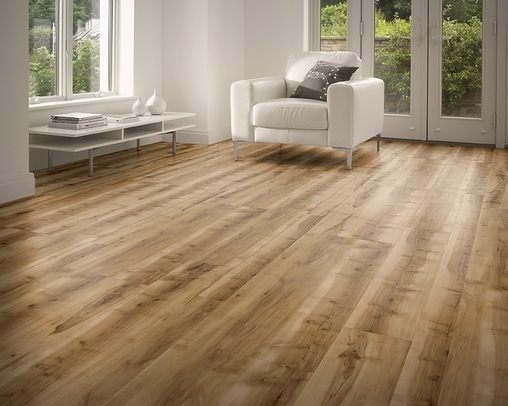 Karndean flooring is another high quality luxury floor which graces many homes and also offers many colour options, texture finishes and designs. This type of floor also lasts for many, many years with regular and periodic maintenance. Commercial cleaning of Amtico floors. Amtico floors are fitted to may types of commercial environments such as shops, hotels, surgeries and public buildings where easy cleaning, hygiene and a clean image is required. Due to these being high traffic area’s, regular cleaning and maintenance can keep this type of flooring looking good as new! This is part of a large Amtico floor fitted to a commercial premisis in Chester. The floor was cleaned by machine and sealed with a heavy duty polymer floor seal which has brought out the lovely colours. This made a huge difference to the looks and cleanliness of the floor. An example of how your Amtico or Karndean floor can be cleaned with a polymer floor seal or dressing. Here is part of a large Karndean floor that was cleaned in Cheshire. It was also sealed with a polymer seal that will last for years. The results are far more impressive in real life. So how can your Amtico or Karndean floor be cleaned and restored? We have been maintaining this type of flooring for the last thirteen years. Most of our clients come to us because either their floor is many years old, or they find that no matter what they do, mopping or cleaning, or using the makers Amtico or Karndean floor cleaning kit just will not clean or restore the floor to how it once looked. There are several reasons for this. Some cleaning products contain polishes and additives which when applied in the first instance look great and give a nice sheen to the floor. However, these type of cleaning products and continued applications will build up over time to create an invisible layer which will attract dirt and be impossible to remove. Additionally, some types floor can become scuffed or scratched due to heavy and continual traffic. Where there is a build up of grime or cleaning products, we can remove this with machine cleaning. During this process, an application is applied to dissolve the grease dirt and grime from not only the surface, but also between the joints of the the floor panels. 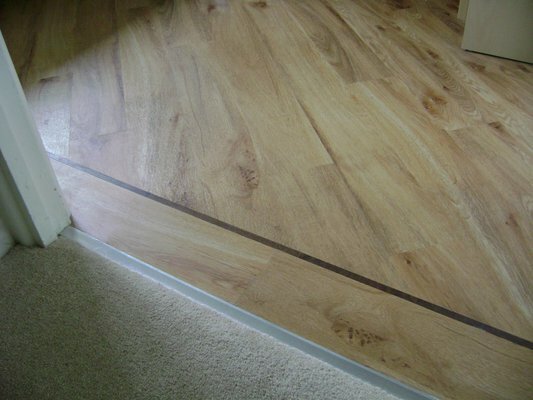 In most cases your Amtico or Karndene floor will look good as new again! My Amtico or Karndean floor is scuffed and scratched and looks dull….is there anything you can do to restore it’s appearance? Yes there is. Inevitably, older floors can deteriorate due to regular traffic. In this case, the floor would have to be cleaned and stripped of any existing polish and grime build up. This will reveal the original floor and although looking much cleaner, the wear and scratches will be more evident. To remedy any wear and scratches, a high solids metalised floor polish is applied. This type of floor polish leaves a solid and highly permeable finish which is resistant to slipping, fills in the scratches and scuffs and leaves your floor, looking virtually as new again. This type of application is extremely durable, will restore most types of vinyl flooring and will last for may years to come. If your thinking of having your Amtico or Karndean floor cleaned in Cheshire, you can either give us a call, email or use the call back request on the contact page. We will visit your property to ascertain your requirements and leave you with a no obligation quote which we can email you along with our current copy of insurance details. We cover the areas of: Alderley Edge, Altrincham, Crewe & Nantwich, Hale, Holmes Chapel, Knutsford, Lymm, Middlewich, Northwich, Sandbach,Tarporley, Winsford, and Wilmslow for Amtico floor cleaning.